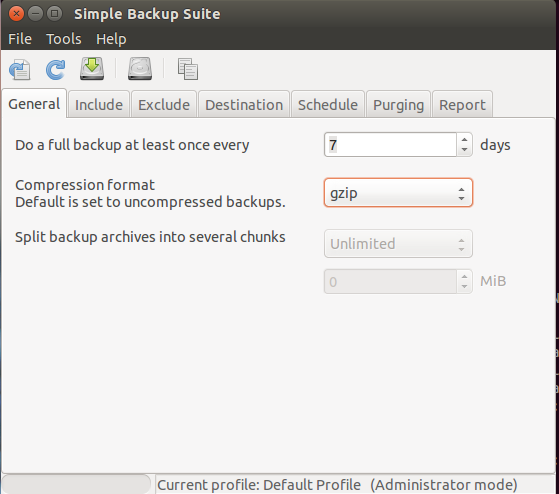 Sbackup is a basic GUI backup program designed for desktop use, with a full set of features. 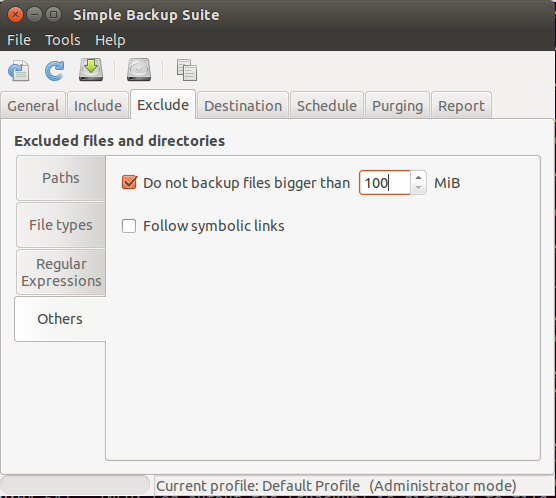 It allows you to backup selected files and directories, define the file size limit, use regular expressions to exclude files and folders, and much more. It creates both compressed and uncompressed backups. It can split uncompressed backups into multiple parts. It has very useful options such as email notification. 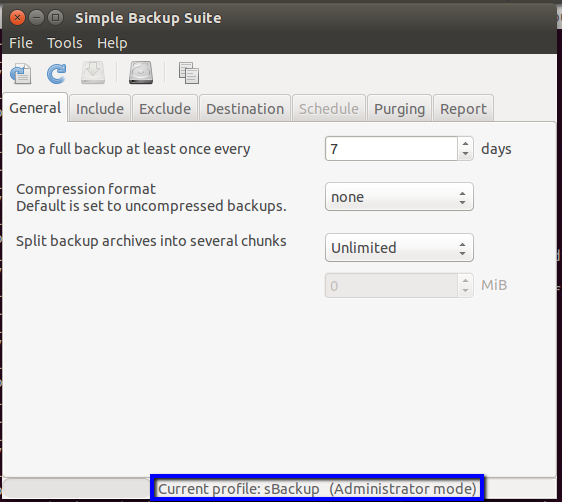 It supports scheduled backups and manual backups. It can backup files either to local destinations or remote destinations. 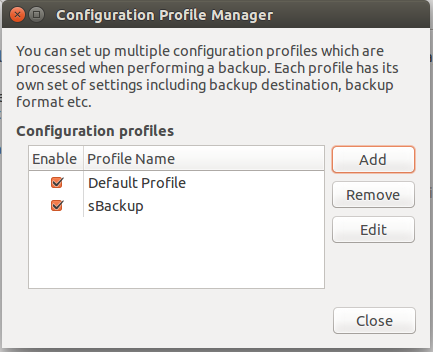 Let’s see how to install and configure SBackup for creating a backup and restore solution for an Ubuntu machine. 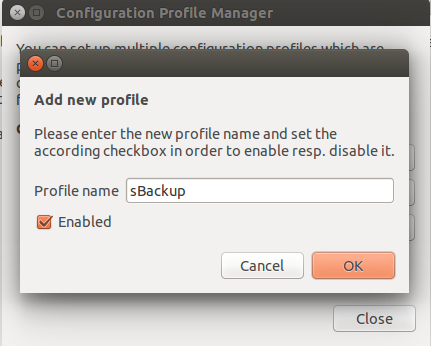 At first launch, Sbackup will notify you to create a new backup profile. 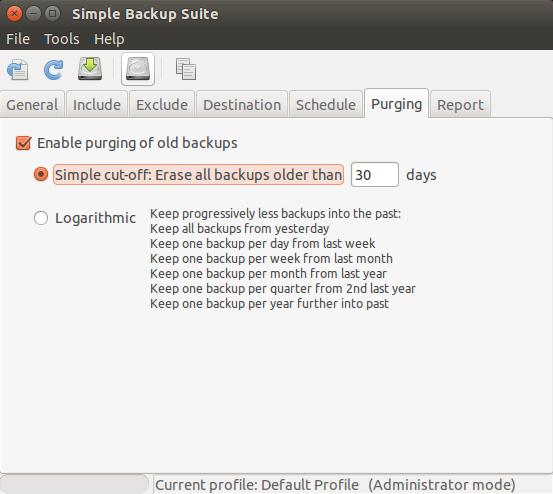 The main interface of SBackup will shown as below. 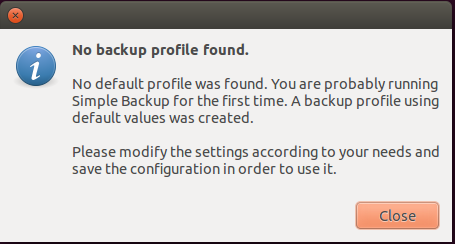 By default sbackup comes with a profiles called “Default profile”, you can edit this profile and changes the values accordingly. But you cannot delete this profile. Click on Add -> Give a name to your profile. Now, you should see the new profile. 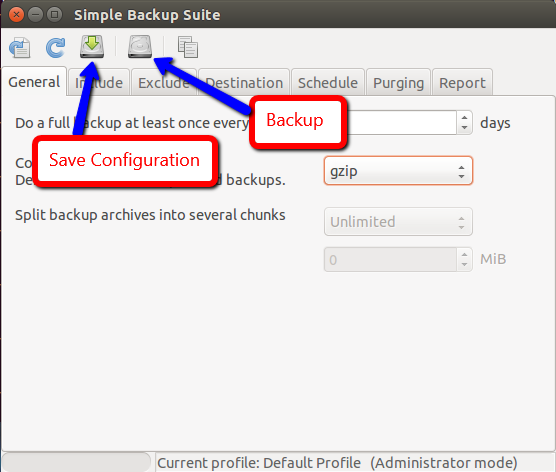 By default SBackup will do full backup at regular intervals. At that point you can define the compression format for your backup file. 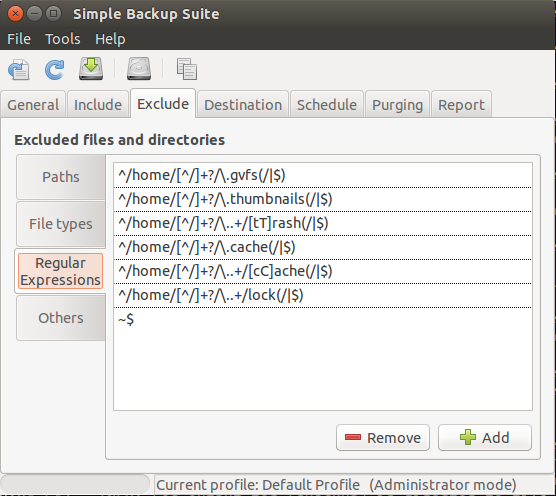 Here you can include the list of files or directories that you want to include in your backup. 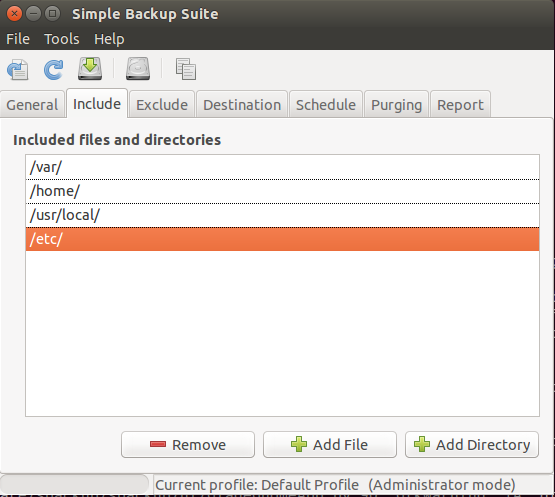 Here you can exclude the list of files or directories that you don’t want to include in your backup. 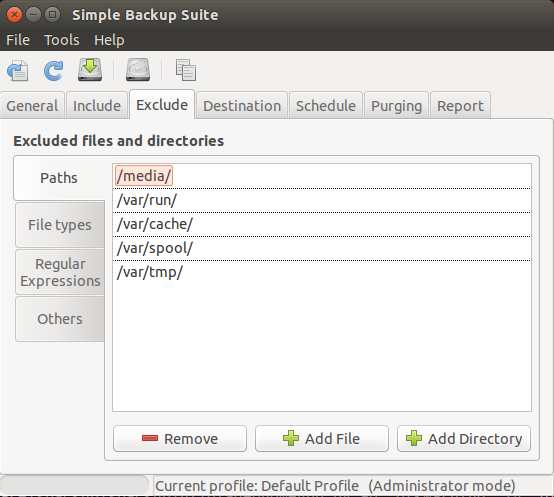 Paths: Here you can specifically add files or directories that needs to be excluded from the backup. 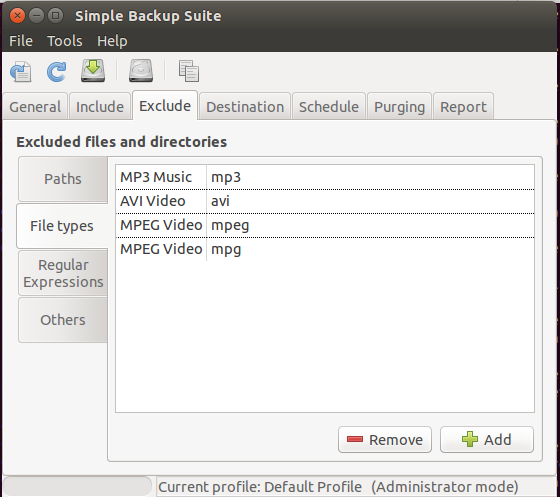 File types: Here you can specify the types of files that needs to be excluded from the backup. Regular expressions: You can also exclude files base don regular expression. Others: Here you can specify to exclude files that are bigger than a specific size. you can indicate the destination area where the backup should be put away. 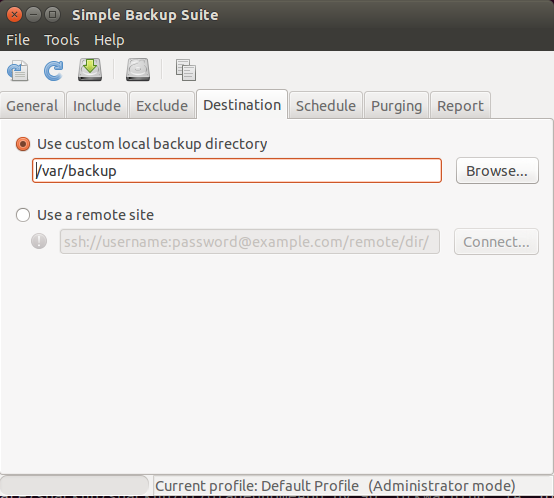 You can store your backup either on your local machine, or on a remote server using ssh. 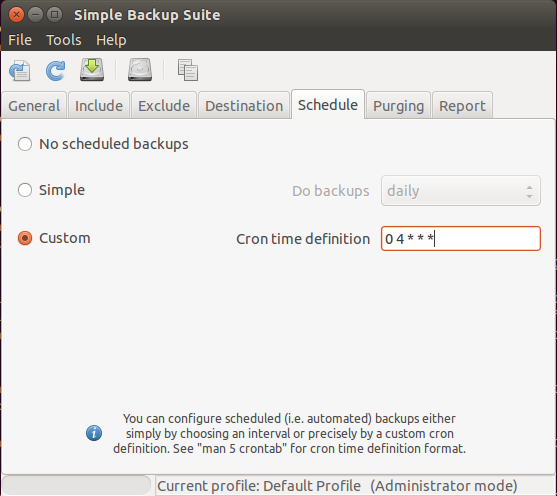 Now you can select “Time” option here you can schedule when do you want to run your backup. 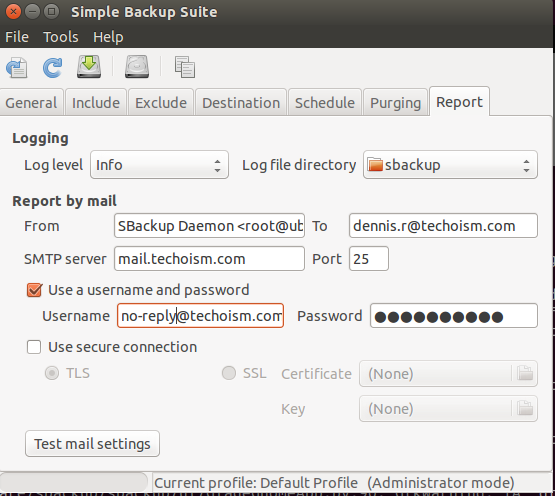 In the event that you need the report to be consequently sent to you whenever the backup job keeps running from the background, you have to indicate your mail server information as shown as follows. 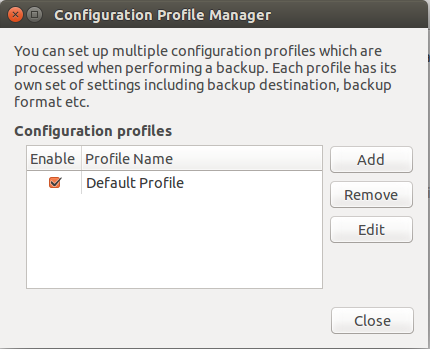 Now, it’s time to save the configuration and make sample backup.